The Crosspoint Waterproof Knit Wool Glove from Showers Pass offers dexterity, breathability, and waterproof protection with its 3-layer bonded construction. 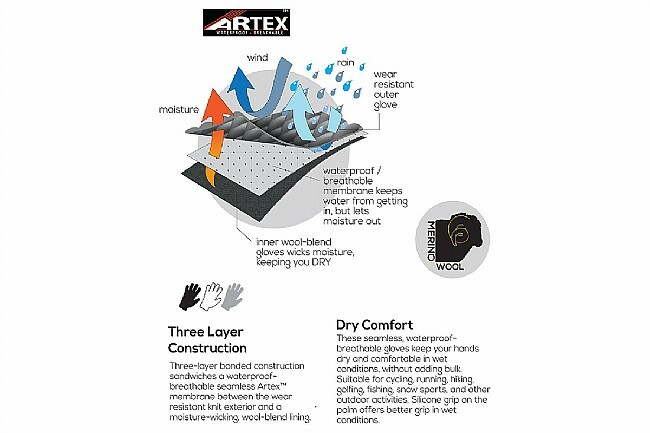 The top layer is comprised of a wear-resistant, knit-like fabric; the middle layer is a waterproof-breathable Artex membrane, and the inner layer is an antibacterial, moisture-wicking Coolmax knit lining. For better grip in wet conditions, the palm features silicone detailing. This glove is more like wearing a wet suit glove. The feel is very odd to me and the sizing is just not quite right. Form Fitting and surprisingly warmer than expected. Worn for biking in some mid 20's temps. Found them comfortable and warm as long as I was exerting. It's damp here in fall. 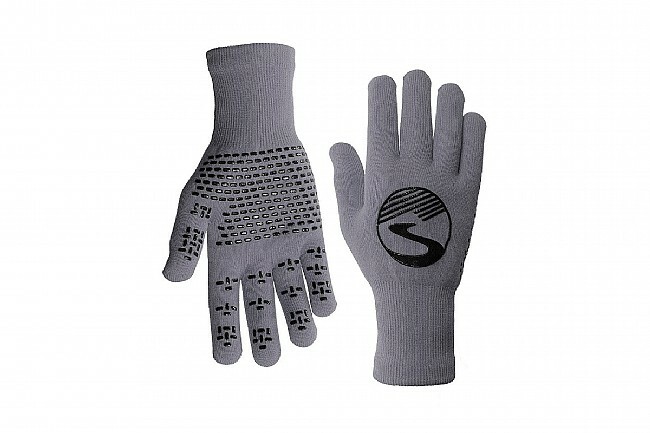 Should be perfect for those 30 mile XC rides through Kenai Peninsula trails on wet days when you need your hands to stay warm and dry. These seemed too good to be true. They weren't. They are truly great. Warm? Down to 40 or so. One of my best purchases in a long while. Do yourself a favor and get the wool ones. This glove is awesome. I have two pairs, one non wool version and one wool. They do a great job staying dry in all but the most horrible downpours. They also do a good job staying warm for me down to the high 30F, but do their best in the 40Fs. 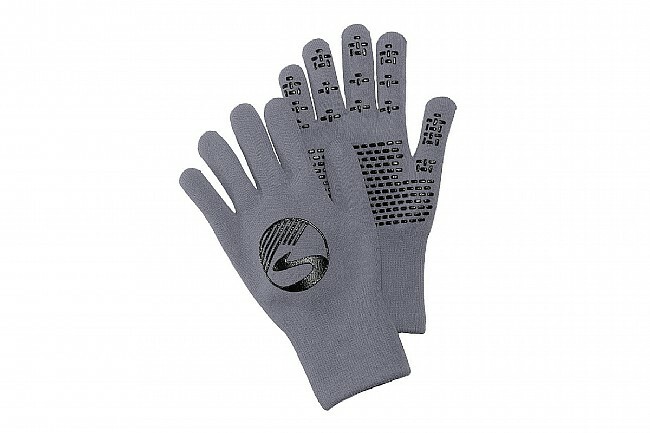 These gloves are very comfortable on the bike, and allow great dexterity. In the dry, the temperature range is much better than I expected, being good down to the mid-thirties. In the wet, the outer layer soaks up water and cools in the wind, which means they are then only good down to the mid-forties. I have not tried using something like Nikwax Soft-shell Proof to see if that helps.